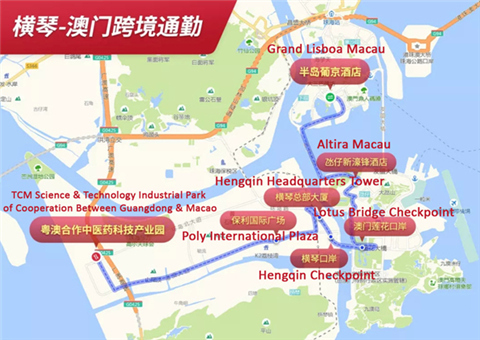 The abundant aroma of hundreds of thousands of blossoms has infused Zhuhai with the fragrant air of spring, especially in the Xianglu Bay crescent of Yeli Island, Haibin, and Jingshan parks and at Bailiandong (White Lotus Cave) Park in Jida and Old Xiangzhou. 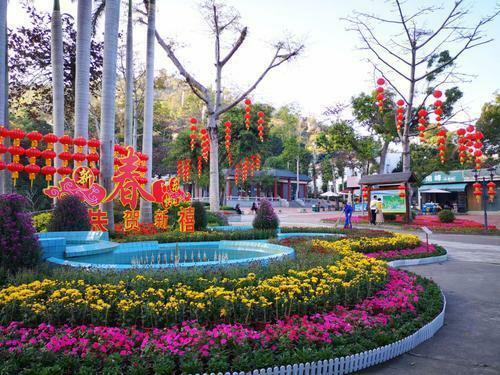 In all, 530,000 flower pots holding some 20 varieties of flowers have been delivered to these and other city parks for the Feb 4-10 Spring Festival holiday. 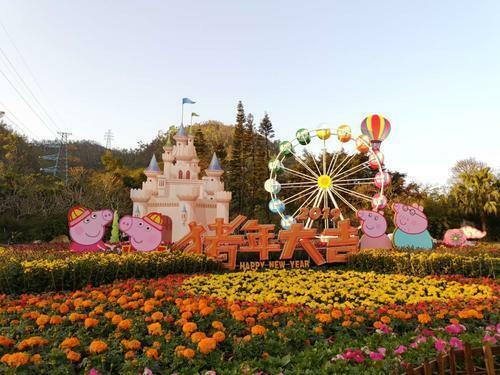 Haibin Park, with seven distinctive New Year's floral designs, is the primary venue of the 2019 Spring Festival Flower Show. The Flower Baskets in Spring scene, for instance, has 100,000 tulips portraying the city's official flower, bougainvillea glabra (paperflower), encircling an 8-m (26-ft) bouquet-basket lantern. Alongside, the large central pond is merged in an indigo sea of 15,000 violets. Nearby Yeli Island Park has 170,000 flowerpots and 4,300 sq m (1 acre) of planted flowers, of which 2,200 sq m (half an acre) are bright yellow rapeseed, 1,000 sq m (a quarter acre) of spidery cleome, 680 sq m (.17 acres) of daisy-like coreopsis, and 500 sq m (.12 acre) of golden wheat. Scarecrow, Tin Man, and other Wizard of Oz figures guard the plants. Visitors can participate in Q&A activities to win prizes while touring the two parks. 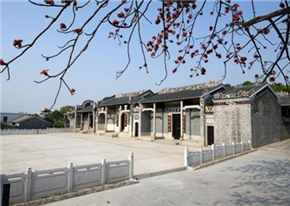 Between Haibin and Yeli, Jingshan Park has created an auspicious atmosphere with three clusters of Year of the Pig attractions escorted by a variety of seasonal flowers with warm colors. 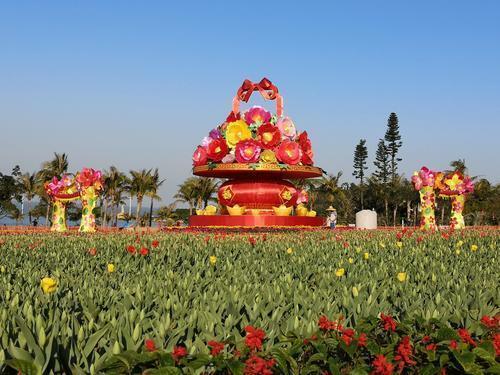 The New Year's floral design "Red Lotus Gives Blessing” consists of 3,000 timely sunflowers that have come into bloom at the east entrance to Bailiandong Park off Jiuzhou Ave. Two additional festive scenes await visitors within the hilly setting. Accompanying the Flower Show, more than 10,000 lanterns, 660 windmills, and ornaments such as illuminations, garlands, and feather banners adorn the city. 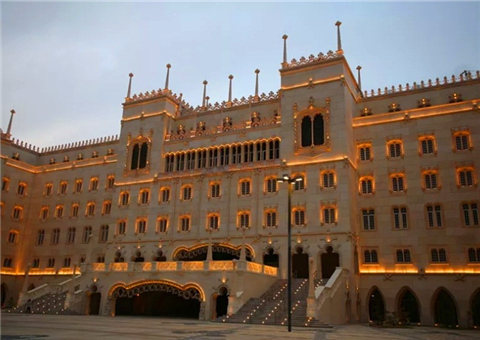 The arrangements were made by Zhuhai Yuehua Landscaping Construction Management.